Mussoorie is a hill station and a municipal board in the Dehradun District of the northern Indian state of Uttarakhand. It is located about 35 km from the state capital of Dehradun and 290 km north from the national capital of New Delhi. Mussoorie was founded by Lt. Frederick Young of East India Company. Lt. Young came to these hills for the sole purpose of bagging some game. He was so enamoured by the beauty that he decided to build a hunting lodge. 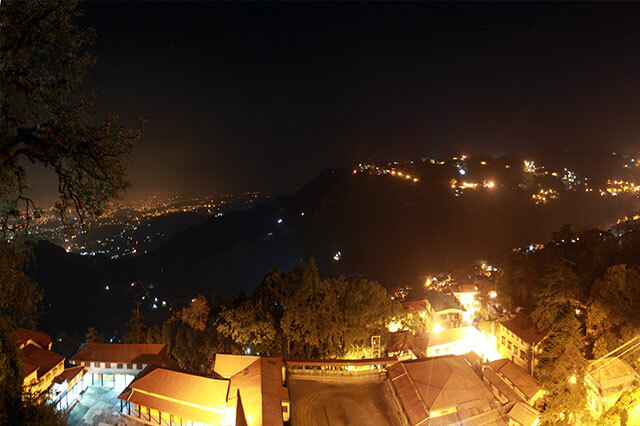 Tourism is the most significant segment of Mussoorie's economy. It has a nature walk known as "Camel's Back Road". This road takes its name from a rocky outcrop in the shape of a camel's hump. Along the road, a cemetery is located about mid-way on the loop. There is also "Gun Hill" where a cannon was used to sound out midday for many years. Mussoorie with its beautiful, undulating, tree-covered hills, looking down on the Doon valley and with a fantastic view of the Mighty Himalayas. Mussoorie is post-card pretty and has wonderfully a romantic air, which has time and again lured honeymooners to it ever since it was established way back in 1827.